The stunning village of Ellmau remains one of the top wintersports destinations in Austria, boasting a majestic atmosphere in a landscape surrounded by the Kitzbuheler Alps and the Wilder Kaiser mountains. With spectacular views over the Kitzbuhel valley and links to the excellent Ski Welt circuit, it is easy to see why Ellmau continues to attract skiers from across Europe. The area is popular and the number of skiers is often large but the resort seems to absorb them all. The skiing is best characterised by gentle tree-lined runs that are best suited to the beginner or early intermediate. 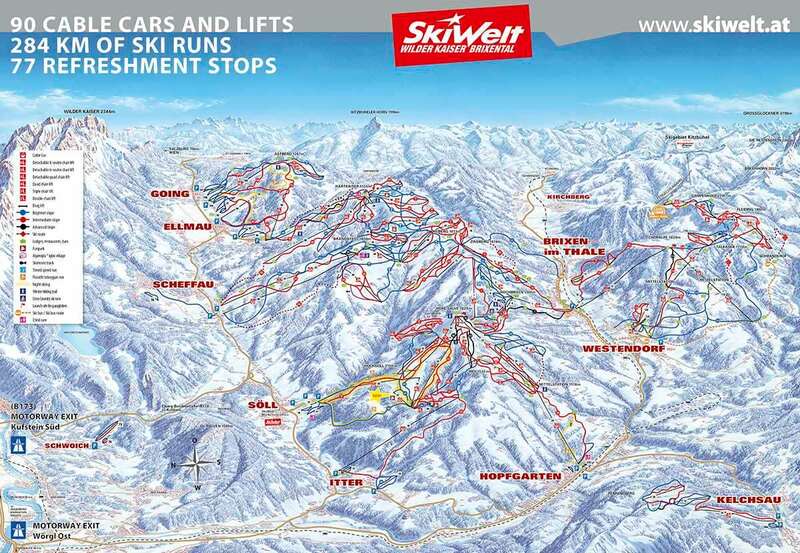 More advanced terrain has to be sought slightly further afield in the Ski Welt area. The area is certainly interesting to explore for even the novice skier and the sign posts can help to guide the skier on excursions to other ski areas in the Ski Welt. With outstanding facilities, incredible runs and some amazing accommodations, Ellmau is one of the leading resorts in Austria for wintersports fans hoping to improve their skills. Beginner, intermediates and experts will find plenty to explore here, and you can return after a day on the slopes to the comfort of a deluxe chalet or apartment. 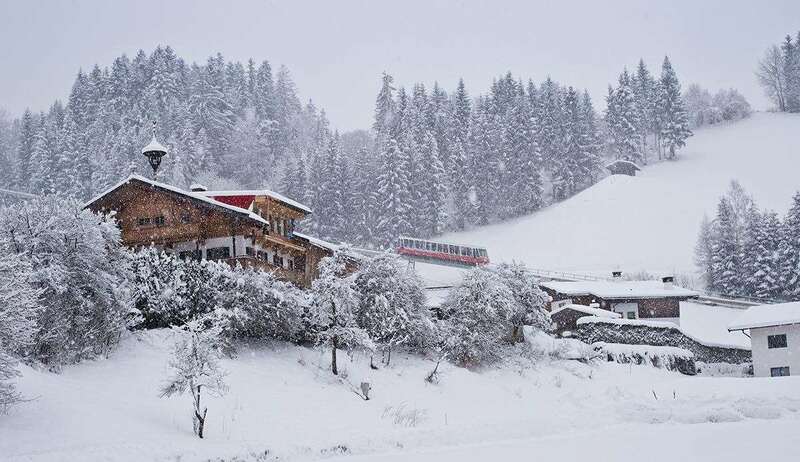 Ellmau is an ideal family resort with nursery slopes in the centre of the village, a range of gentle slopes, a short airport transfer time and excellent child-care facilities. The Wilder Kaiser region includes the villlages of Ellmau, Going, Scheffau and Soll and is one of the largest ski areas in Austria. There are 90 cable cars and modern lifts that link up 280 km of piste in this fantastic area. Many of the slopes here are aimed at beginners and intermediates, making it perfect for families who are new to the sport. For those with more experience, the runs available on the Astberg chairlift are particularly appealing due to their length and difficulty. The ski season runs from December to April and there are snow cannons on 245 km of piste available to ensure great snow even in dry spells. There is a fantastic entertainment programme across Ellmau in the winter season, with a relaxed atmosphere and plenty of excellent attractions. Amazing discos are held at Otky, while Ellmau Alm offers excellent live music. What’s more, sleigh rides, a toboggan run, skating and bowling are all available in the town centre, while the local theatre produces a host of Tyrolean-themed evenings. The closest airport to Ellmau is Salzburg, which is around 90 minutes transfer away.